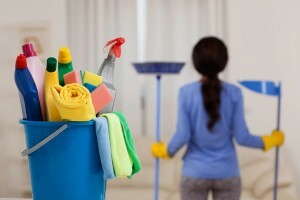 Selecting the perfect house cleaning service is not an easy task. After an entire day of touring around the beautiful spots in Sydney and meeting friends, it’s ideal to rest in a clean and fresh place. This is why I have been getting the services of a house cleaner to clean the apartment I’m staying in. Before the house cleaners arrived, they evaluated the particulars of my cleaning requirements so they know precisely what I want. Some even came to my apartment before cleaning it to see accurately what level of cleaning I am looking for. Since I’m frequently visiting places in Sydney, I usually give them my spare key. But, for those who don’t feel at ease leaving the keys or door code to the cleaning team, they need to make sure that somebody is home during the arranged cleaning time. When I’m not in the apartment, the cleaners dust, scrub and vacuum while I’m out spending some free time. And when I’m in the apartment, the cleaning team happily work around me allowing me to do normal activities. Obviously, not all homes or apartments are lived in the similar way and cleaning completely sometimes means the cleaner staying a bit longer than normal to give it further attention. Some companies require payment during the cleaning. Other companies may have rules that vary, but normally house cleaners in Sydney accept checks, cash or credit cards. After the first visit, the team called up requesting for my feedback on the cleaning service. They also informed me that if I would like to make some changes, the cleaning team will make the modifications on my account, and those alterations will be reflected in the team’s work on their succeeding visit. If for any reason the house cleaner doesn’t meet my expectations, the team will return and fulfil their guarantee on their work. I will simply notify them within 24 hours regarding any concern, including any lapse or misunderstanding about the specification of your cleaning requirement. If something is broken or damaged during the time of cleaning, then the cleaning team will make effort to fix or restore, or when needed, replace the broken or damaged item. I love coming home to a fresh and clean place. When it comes to making my apartment looking its best, getting the services of a house cleaner is an outstanding solution. No need to bother myself. I can continue exploring and discovering amazing sceneries in the city and return to a spotless and clean apartment.